No need to look for specialty products at your local store or visit several supermarkets to get all of your favorite vegan snacks. 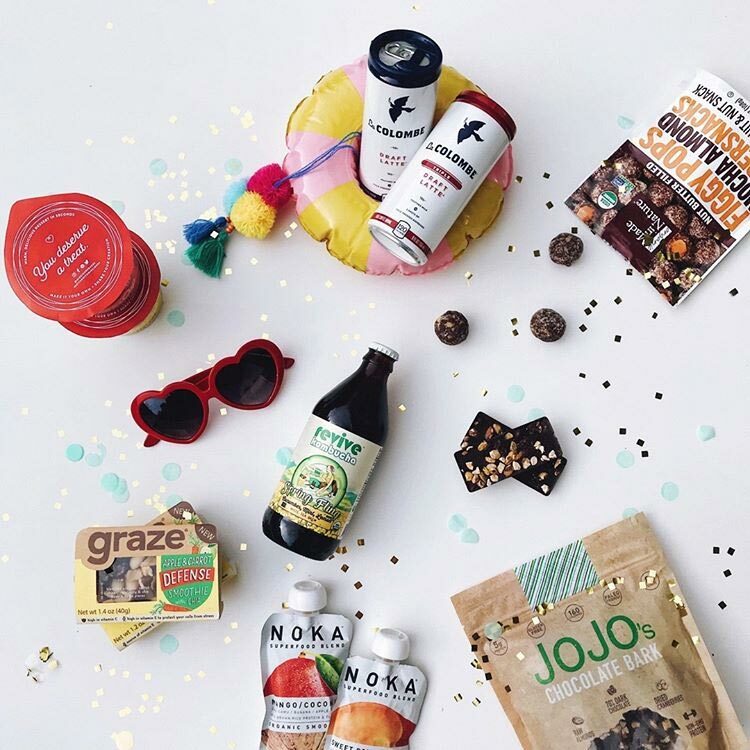 The people behind carefully curated vegan subscription boxes often fill them with both popular and more unknown, local sweet and savory snacks that you wouldn't be able to get a hold of in normal grocery stores. 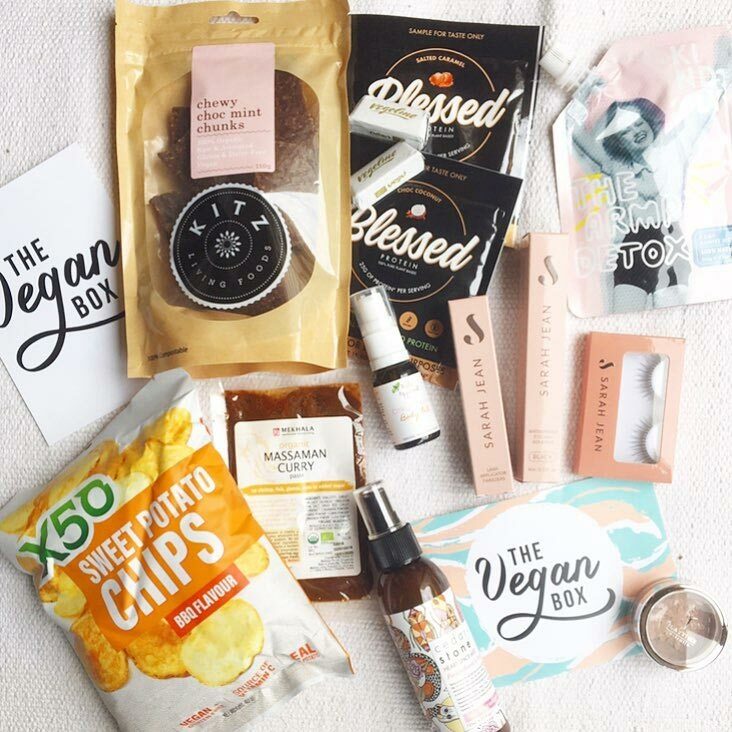 What's really wonderful is that among the varying kinds of subscription boxes on the market today, there’s been a particular explosion in those offering exclusively vegan foods and snacks - something we'd really like to support. From fresh ingredients to ready meals; snacks to desserts... a vegan subscription box is a good reason to get your hands on endless vegan goodies, without even leaving the house! It’s not always easy to maintain a healthy, plant-based diet in this world... let alone find certified vegan and cruelty-free snacks. This task can sometimes feel even more intimidating for new vegans or those who are the only vegans in the household. With a vegan subscription box, you can gain access to some of the tastiest vegan snacks on the planet, without having to do much of the legwork. Discover exciting plant-based brands you never knew existed, or enjoy the feeling of knowing you’ve got a bunch of vegan snacks all ready for the week ahead. When you sign up to a subscription box, you can choose to pay for every box you receive, or you can pay in advance for three, six or even 12 months. You can also purchase one-off boxes if you wish to sample one, or as a gift for a friend or family member. Some subscription services allow you to choose how often to receive the box. However, most usually arrive on a monthly basis. There's sometimes also the option to order specific snacks separately if you just really want to try them. It’s basically like Christmas every month! There are also some more niche boxes that are guaranteed to put a smile on your face! We’ve put together a compilation of some of the best vegan food boxes out there, so busy people like you don't have to do all of this research. There's something for everyone in there, no matter your dietary preferences, budget, or location on this planet. Some lucky ones will even be able to get whole plant-based meals delivered to them! Many boxes offer a satisfaction guarantee, meaning you don't have to pay for the snacks you didn't like, or they add the odd lifestyle product to the food. You're also likely to get the snacks for a cheaper price compared to those on supermarket shelves and the contents of each box will change up quite a bit so everything keeps being new and exciting. So, whether you’re after healthy snacks to stay on track or delicious treats to indulge in, you’ll find the perfect box for you below. Too busy to make health a priority in your life? We’ve all been there. Urthbox pride themselves on packing your box only with a wide variety of only healthy, organic, natural, GMO-free snacks. The full-size snacking packages can have a retail value of up to $100! 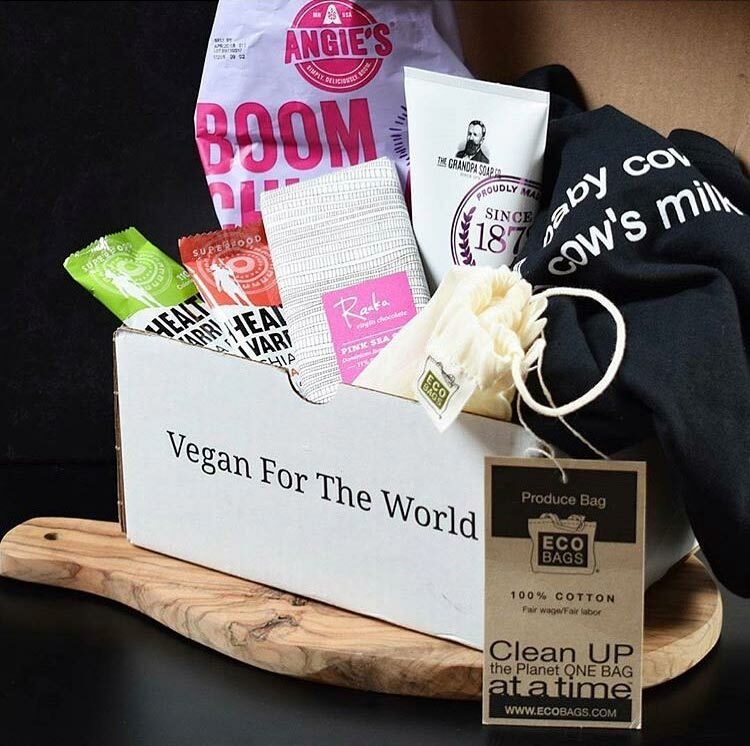 Choose their vegan box to be presented with a delivery of vegan morsels every month. A selection of full-sized vegan snacks that have passed Urthbox’s strict nutrition, sourcing and ingredient standards. Expect juices, sweets, savory snacks, beverages, superfoods, cereals, nuts, seeds, and dried fruits. Choose from their mini box (6+ snacks), small (12+), medium (18+) or large (25+) boxes. Subscriptions are monthly and can be canceled anytime. Shipping to the US is free, $6.95 shipping fees for Canada. 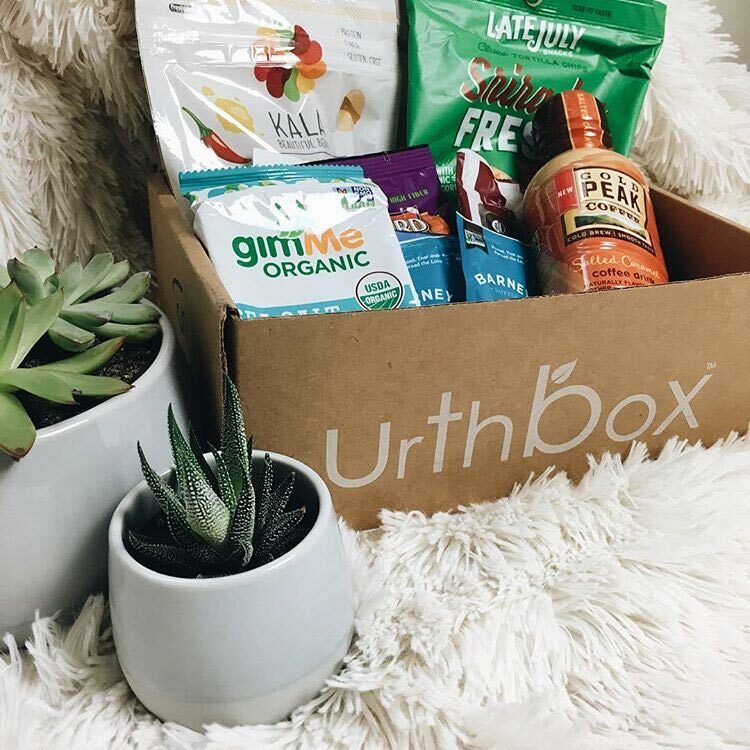 Urthbox allows you to earn loyalty points for every month you’re subscribed and whenever you refer a friend. You can use these to get discounts on the products you love online. Veganism is more than just a diet! All Around Vegan wants to help new vegans, not just with finding food items and lifestyle products, but also with understanding and sharing the vegan message. Every month, their box features a mix of food, nutrition, bath/body and lifestyle products, along with exclusive activism materials to help you get active for your animal friends... Consciously curated to brighten your day and spread the awesomeness that is veganism. A mix of exciting vegan products, from snacks and treats to bath/body products and household items. You’ll also receive a variety of activism materials like stickers, badges, leaflets, and booklets so you can choose how to spread the vegan word. Boxes ship every month, with the option to save money when you choose a 3 or 6-month prepaid plan. Shipping costs $4.95 per box in the US, $15 for Canada and $20 for the rest of the world. Check out the All Around Vegan store, where you can find clothing and merchandise related to the vegan cause. Taking your vegan diet one step further towards health and longevity isn’t always so easy because it often means preparing your meals 3 times per day. 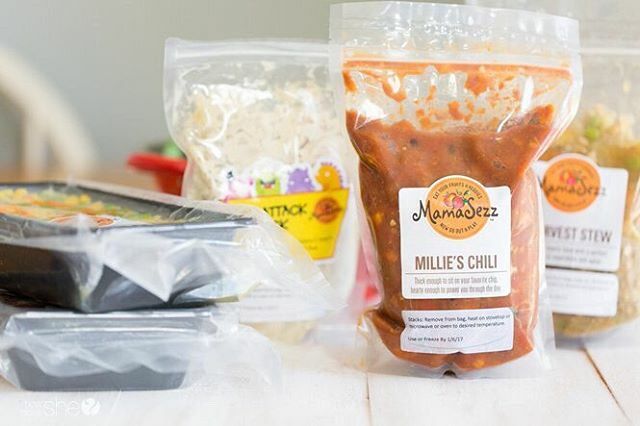 If you want to stay away from processed foods and snacks but still enjoy the convenience of healthy vegan food subscriptions, then MamaSezz has you covered! A meal delivery service like no other, you can get whole food plant-based meals ready-made for you that can be enjoyed within minutes either just by yourself, or your whole family. Choose between one of 13 different bundles like the “Family Bundle”, “Get me Started Bundle”, “Soy-Free Bundle”, or “Just For Me Bundle”. Each of them contains ready-made whole food plant-based meal options - free from all oils, gluten, preservatives, and processed sugars. You get the completely fresh, no cooking required, boxes delivered directly to your door. Just open, heat, and eat! You can expect meals like veggie loaves, granola, chilis, lasagna, mac’n’cheese, and lentil dhal. There are 4 different delivery zones within the US that all come with their own fees. To find out how much it’ll be in your state, check this page. You can set your subscription to recurring or place your order just once. Choose between every 1, 2, 3, or 4 weeks. You can also pause or change the type of your subscription, add products, and more. Ranging from $99 for 18 servings to $149 for 28 servings. Check your delivery areas within the US for the exact costs - orders over $89 have lower shipping costs. Bundles are available for just one person or even whole families. Some meals can also be ordered separately. MamaSezz offers a 100% satisfaction guarantee and refunds can be requested within 14 days of your order. The boxes come with a return-shipping label and can be picked up for free by FedEx. If you ever looked for a popular vegan food box - you’ve probably come across this big name. This is no coincidence because Vegan Cuts is super well-established and never fails to make their customers happy with each box. Their main goal is to make it fun and easy for their members to discover new vegan products, every month - from hippeas (organic chickpea puffs) to bean or veggie chips, pancake mixes, exotic crunchy chocolates, and more. 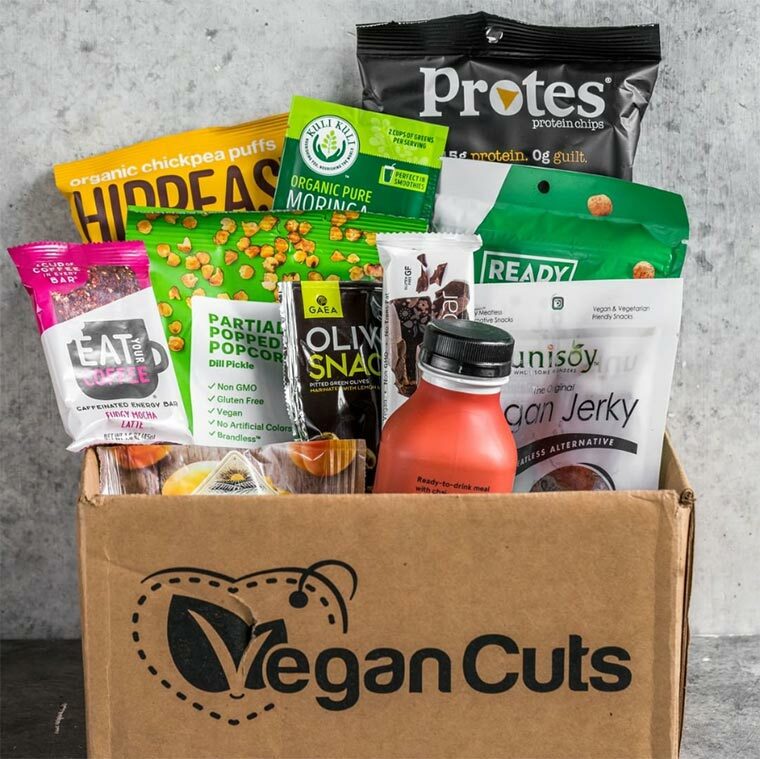 In their Snack Box, you’ll receive a plethora of these vegan goodies straight to your door, all of which have been tried and tested by the Vegan Cuts team. Perfect for those without access to specialty vegan foods in their area or vegan beginners who want to discover the world of vegan deliciousness. 10 or more vegan foods and snacks, including cookies, sodas, savory goods, teas and healthy snacks, most of which are gluten-free. Boxes arrive monthly, with the option to pay 3, 6 or 12 months in advance (saving money per box the longer you sign up for). Shipping to the US is free, with a charge of $9 to Canada and $15 to the rest of the world. Vegan Cuts also has its own online store, where you can buy various snacks, cereals, nut butters, and gift boxes individually. This snack service is unlike most others! All their boxes are highly individualized based on your preferences like favorite flavors or following a vegan diet. The company continues to develop new snacks over time, so you’re always going to find interesting options. And these won’t be your regular store-bought snacks you might recognize but rather lovingly packed little boxes filled with oat squares or beet crunches. When choosing their subscription, you’re sent a box containing 8 snacks chosen based on your preferences each month. This means that you get little containers of snacks that they’ve put together. These are often mixes, which might contain nuts, chocolate, dried fruit, or other similar ingredients. You can choose to have twice weekly, weekly or fortnightly deliveries of your graze subscription box or even snooze your box if you are going on holiday. In the US, shipping is included in the price of your eight-snack boxes and four-snack sampler boxes come with a $1 shipping charge. For shop orders over $20, shipping is free and smaller orders are $4.25. For UK customers, the standard shipping charge for shop orders is £2.80, but if your total order comes to more than £10 (after any discounts) standard shipping is free! You can not only get their subscription boxes but also buy each snack individually at their store. Do to the bottom of the page to switch between the US and UK version. Get your first box for free by following the button below. 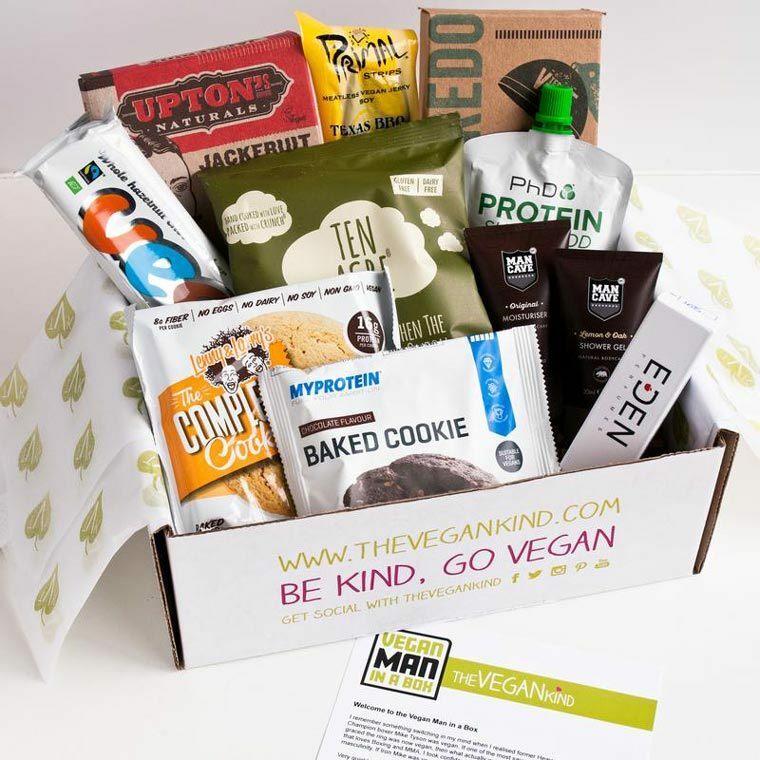 The Vegan Kind aims to make vegan life easier by sending an exciting array of snacks, foods and lifestyle items to your door monthly. Not only will you find exotic chocolatey desserts but also cookbooks, environmentally friendly utensils like bamboo brushes, or savory crisps to try. 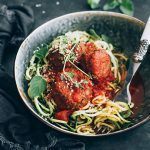 Luckily, the contents of UK’s most popular subscription box for vegans will vary based on the theme or the seasons, so it’s always fresh and exciting. 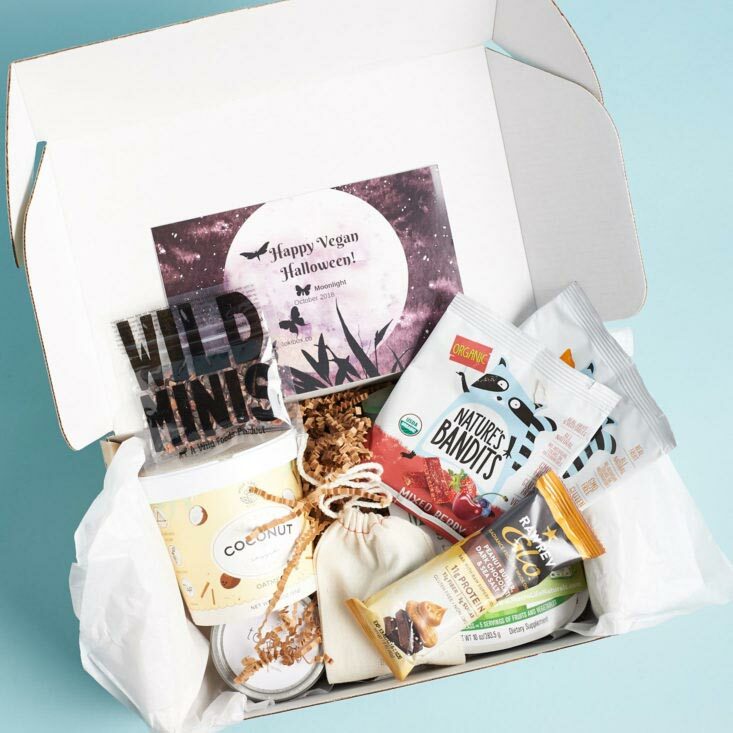 In The Vegan Kind’s Lifestyle box, you can expect to receive any combination of snacks, treats, condiments, nut butters, superfoods, and teas each month, with one ‘wildcard’ lifestyle product thrown in (this could be a household or wellness product). The Vegan Kind boxes ship monthly, but you can purchase previous boxes via their shop. £3.15 per box for UK shipping, £9 per box worldwide. The Vegan Kind also has its own online store, where you can purchase many of the food items you might find in their boxes. They also publish regular recipes on their site. 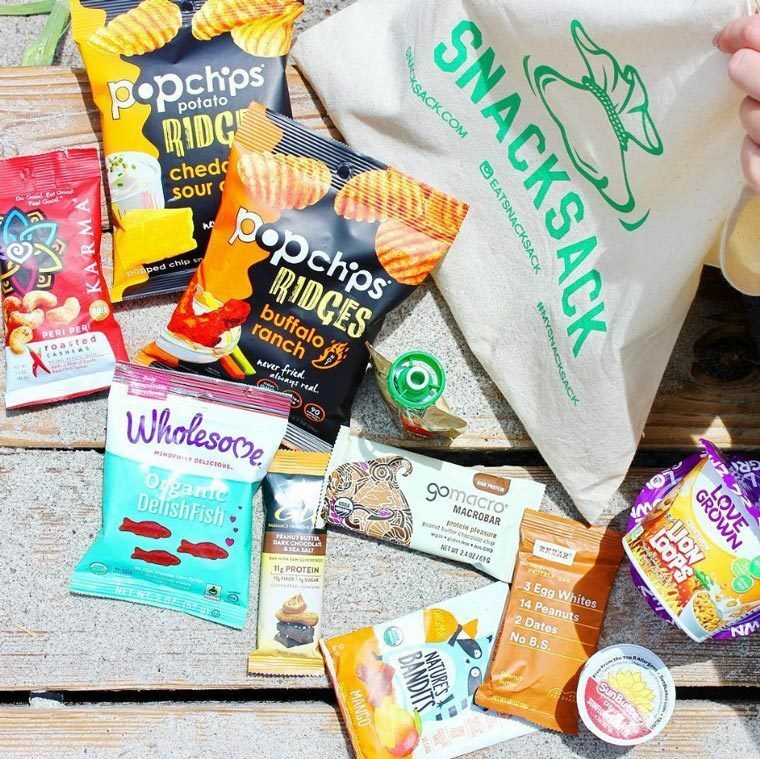 Snack Sack is blowing mindless snacking out of the water with its delicious boxes of healthier, junk-free snacks. No need to pick out the few not-super-horrible-for-you options at the store and get tempted by all of the others! The people behind this project are constantly on the lookout for high-quality, creative products that they share on a regular basis. Just choose the ‘Vegan Snacking’ option to have your needs covered. You’ll receive 12 unique, junk-free snacks including USDA organic, non-GMO, project-verified fair trade and gluten-free products. Each box is based around a different theme or season. Your first box will even include a free ‘snack sack’ for hauling all your snacks! Boxes arrive monthly, with options for 3, 6 and 12-month plans (saving you money per box). Snack Shack offers its members free USPS priority shipping. Let Snack Shack know if you happen to fall in love with a particular snack. They’ll hook you up with the best deal. And they also offer a 100% satisfaction guarantee should you be unhappy with one of the snacks. Get 20% off your entire first plan with code PLANTBASED20. One thing we can all agree on is that way too much edible food is wasted each year. Supermarkets have ridiculous standards for what produce needs to look like in order to stock up and sell it - when there’s nothing wrong with a smaller potato or curvy cucumber. The people behind Imperfect Produce pick up otherwise unsellable fruits and veggies from 150 different farms and put together customizable boxes that are delivered to you regularly. An assortment of “ugly” seasonal fruits and veggies. You can choose between organic and conventional produce as well as 4 different sizes: S (7-9 lbs), M (11-13 lbs), L (17-19 lbs), and XL (23-25lbs). The contents of the boxes change every week depending what was harvested and what you chose to include depending on your own taste preferences - you surely won’t be forced to get kale if you don’t like it. Currently, Imperfect Produce only delivers to certain areas of the US but they promise to expand quickly. Upon signup, you can enter your zip code to find out if your location is covered. Prices range from $11 for a small box of conventional produce all the way up to $43 for an extra large box of organic goods. There’s a flat delivery fee of $4.99 no matter the size of the box. The code GETFIFTY% will get you 50% off your first order. Looking for a great deal? 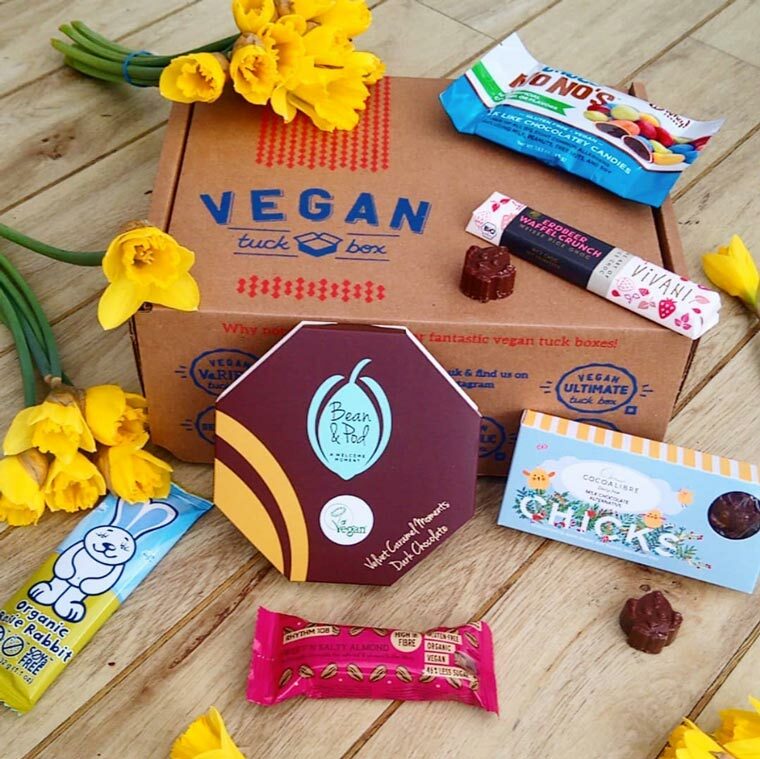 Vegan Tuck Box are perhaps one of the cheapest vegan snack deliveries around, with the option to get the best vegan snacks for as little as £3.70 per box. 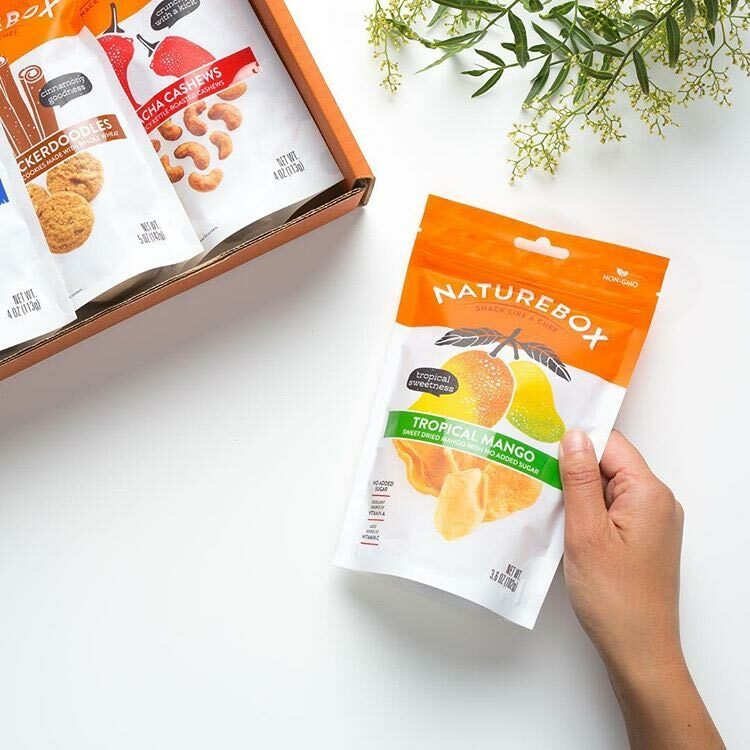 Not only do they pack their boxes full of sweet and savory snacks from innovative vegan brands, but also do they offer flexible size options and subscriptions. If you don’t want to commit right away, just get an individual box or a themed one like the chocoholic or savory snacks. Vegan Tuck Box’s Letterbox subscription contains anywhere from 4-5 hand-picked vegan snacks, depending on which option you go for. Each box will also include a free tea bag, making them perfect for desk snacking. 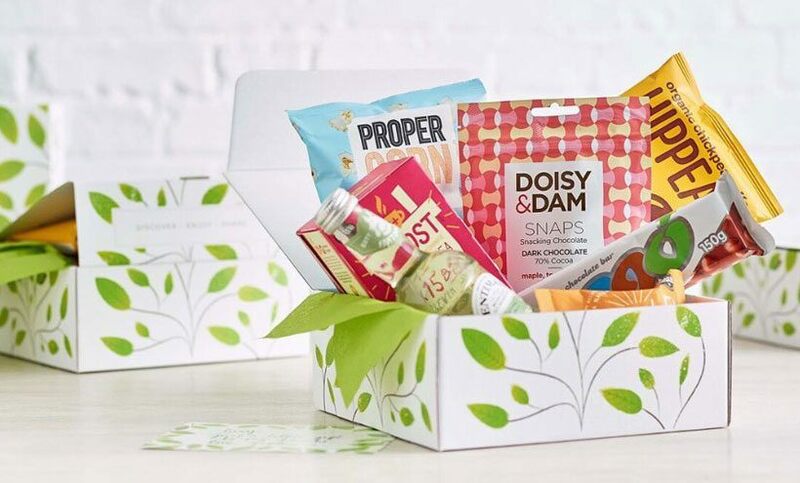 Their Ultimate Box promises to deliver a plentiful hoard of mouthwatering full-sized packages of treats and snacks, many not available on your local high street. UK, Europe, North America, Australia & New Zealand. Letterboxes are delivered weekly or fortnightly, while Ultimate Boxes are shipped monthly with the option to save money through a 3-month subscription. Shipping to the UK ranges from £1.80 when spending £7 and under, to £6.50 when spending over £50. International delivery ranges £4 when spending under £7, to £20 when spend is over £50. Custom charges may incur for countries outside of the EU. Vegan Tuck Box also offers one-off gift and Christmas boxes, too. Enter Nutri10 to get 10% off your first Ultimate box (doesn't apply to prepays). Calling all jerky lovers! 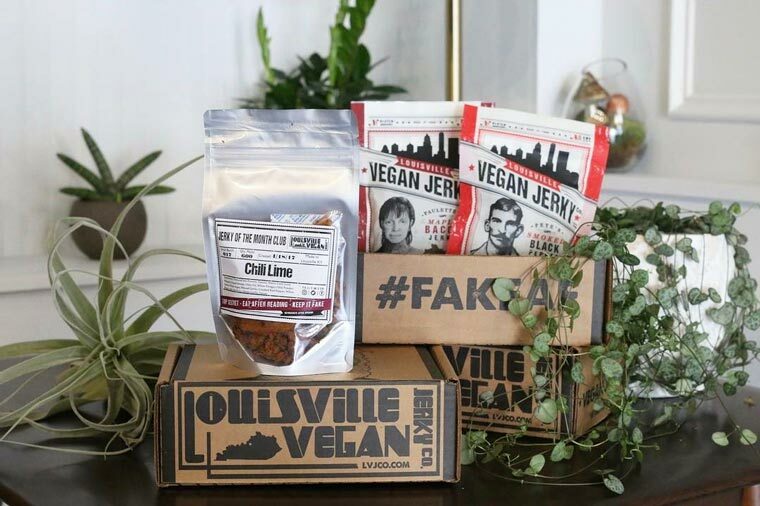 Louisville Jerky Co. is famous for its incredible, 100% plant-based jerky...which you can conveniently have delivered straight to your door. All of Louisville’s jerky is hand-seasoned with natural ingredients and spices, making it the perfect moreish snack. And remember what the founders say… “the future is fake”. They can truly make plant-based jerky appealing to the masses with flavors like maple bacon, pepperoni, and smoked chipotle! When you join Louisville’s ‘Rad Jerky of the Month’ club, you’ll receive any two bags of their standard five flavors, along with a small batch of that month’s special jerky. Everything’s handmade in small batches with a carefully crafted blend of spices as well as gluten-free and GMO-free soy. Boxes come monthly, with plans ranging from 1 to 6 months. $19.99 per box (but you can save money the longer you subscribe). Shipping is free in the US, and around $10 per box for the rest of the world (depending on your country of residence). Louisville Jerky Co. donates $1 from every box to an animal sanctuary. Get 20% off with code FRIENDS. How about getting your snacks for up to 40% less money? The membership site NatureBox offers a free 30 day trial during which you can get an array of discounted real food goodness that’s free from hydrogenated oils, corn syrup, and artificial flavors with a “don’t like it, don’t eat it” system - meaning, you get new store credit if you’re not happy with some of the snacks and help the team to pick new options you’re likely to enjoy. Membership fees are credited towards your future purchases and there’s currently a free 30-day membership trial. Do you find yourself going to 3-4 different stores to get all of your vegan goodies? The people behind The Goodness Project feel you - and ultimately joined forces to deliver healthy plant-based foods and snacks straight to the door of its lucky subscribers. Each box might include the odd beauty or lifestyle product, too. Just be sure to choose the Vegan Box for 100% vegan contents. 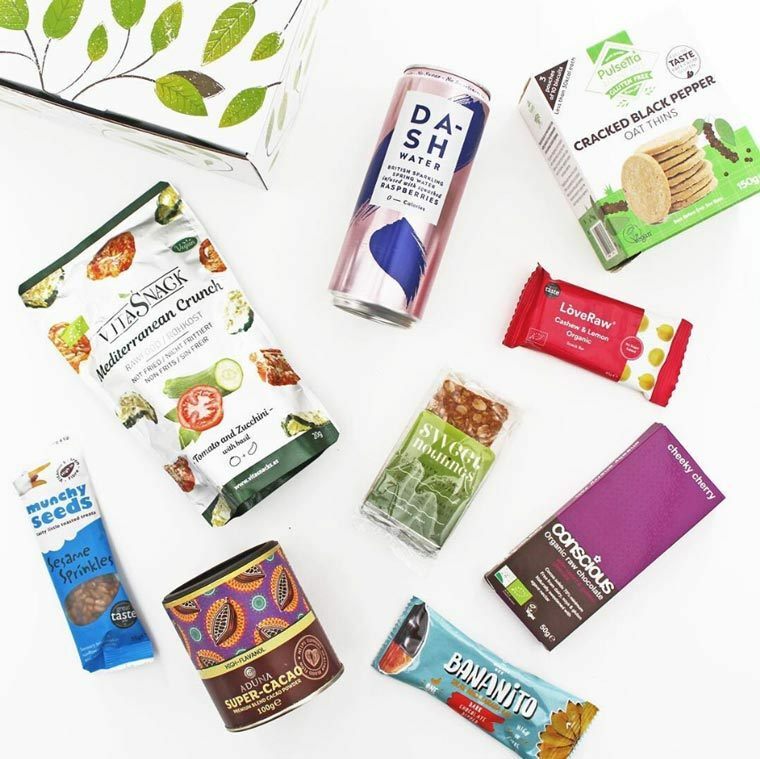 A variety of plant-based snacks ranging from almond biscotti and vegetable chips to white chocolate bars, protein balls, organic tea or seed butter. There are three different sizes to choose from: the Letterbox (includes 4-5 mini vegan snacks); the Mini (which offers 5-6 full size products) or the Maxi (8-10 full size products, with body care products occasionally included). Boxes arrive monthly, with options to subscribe for 1, 3 or 6 months. £4 P&P when shipping to the UK, delivery on orders over £50 is free. £9 when shipping to the US. Import Duty or Formal Customs Entry Fee depending on your country of residence. The Goodness Project also offers an office subscription box, which is great for encouraging healthy snacking at the workplace. All of their packagings are also 100% recyclable and 1% of their net profits are going to charity! 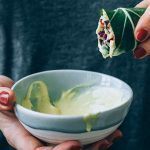 Don’t know how to cook satisfying plant-based meals or don’t want to shop for ingredients that often? Purple Carrot plans out new yummy and balanced vegan recipes for you on a weekly basis and sends you the corresponding fresh and pre-portioned ingredients. All you have to do is follow the easy, step-by-step instructions of their accompanying recipe cards and voilà, there’s your healthy homemade vegan meal! Choose between 4 different plans (“Quick & Easy”, “High Protein”, “Chef’s Choice”, and “TB12 Performance Meals”) or customize your box by swapping meals according to your needs and taste preferences. The boxes always come with perfectly portioned fresh, often seasonal plant-based ingredients and colorful recipe cards. $72 per week for 3 different meals and 2 servings per meal or $78 for their protein-packed TB12 performance meals. You'll get a $20 discount when signing up for the first time. If you’re into specialty foods and on the raw food train, this will be perfect for you! RawBox is a unique subscription service in that it provides you with a bunch of healthy, mostly raw vegan foods and snacks that are both delicious and nourishing. The company makes sure to steer clear of gluten, wheat, soy, refined sugar, as well as mineral oil and parabens (for their cosmetics) to deliver pure goodness to your doorstep. 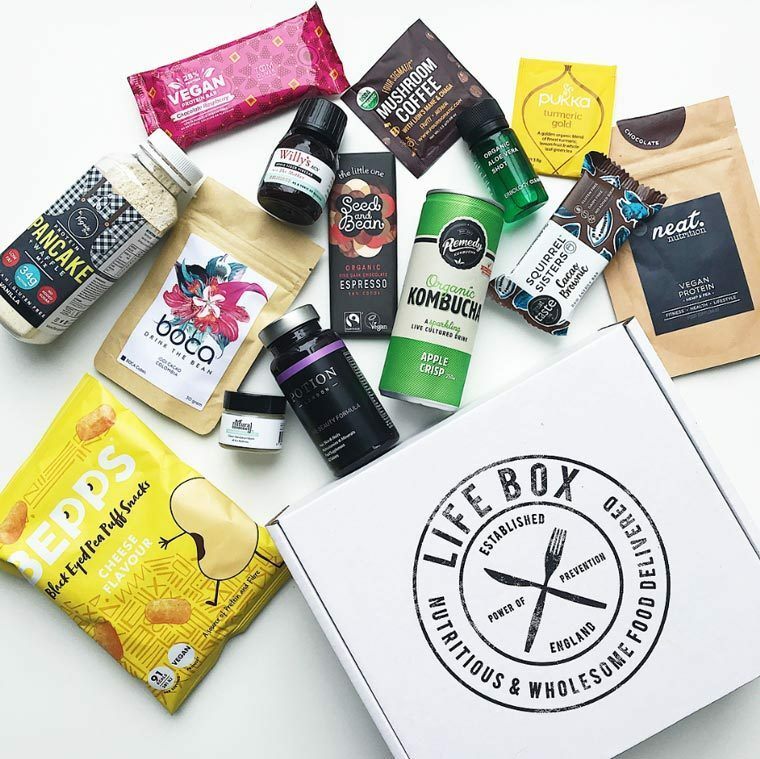 Each RawBox will include a collection of 10-12 products including snacks, plant-based and completely raw foods as well as some premium superfoods. It also comes with 1-2 beauty and lifestyle that nontoxic and are made from natural ingredients. RawBox ships every 2 months. Shipping costs $5.95 for anywhere in the US. Although not all of RawBox’s products will be 100% raw, most of them will be. 10% off your first order with code WELCOME10. Part of the here-to-stay wellness revolution, Lifebox arms you with snacks, foods and wellness products which can help you to live a healthy, well-balanced lifestyle. Whether you’re a current or wannabe ‘healthie’, Lifebox provides a convenient and affordable way to stay fueled and inspired. You can just get a single box to try it out and then make it a recurring subscription later. Or why not send one as a beautiful gift? Each Lifebox features a selection of exciting natural, vegan, and minimally-processed foods to support your everyday health. Expect superfoods, herbal teas, snacks, bars, dried fruits, nuts, and spice mixes, all of which can be enjoyed on the go or integrated into your cooking or baking. Choose from Lifebox Classic or Lifebox Energy. UK and worldwide. For international orders, get in touch with Lifebox via email. Boxes arrive monthly, with options for 3, 6 or 12-month subscriptions. Delivery in the UK is free, with an option for faster tracked delivery (£.5.50). International shipping will incur an extra cost. Lifebox will also provide you with exclusive recipe cards showing you some ways you can enjoy your monthly goodies. Ready to “feed your happy”? Let vegan chefs get creative with your choice of ingredients and receive conveniently prepared packs as often as you want. Veestro are dedicated to providing you with 100% organic, plant-based meals straight to your door. This box is a great option if you’re new to eating plant-based, or have a busy week coming up where you won’t have time to cook. They even have a couple of different options to choose from! Your choice of delicious, plant-based meals to last you however long you choose. All Veestro’s meals can be stored in the fridge or freezer until they’re ready to be eaten. Their A La Carte meal pack is a one-off purchase, but customers can also choose from a variety of tailored meal packs including protein-packed and gluten-free. Weight loss and juice subscriptions are also available with packs to suit your diet and duration preferences. Veestro can deliver your meal packs anywhere from every two to four weeks. Packs start from $8 per meal, while juice packs start from $6 per juice. Shipping is free when you spend over $199, with varying shipping rates for orders under this amount. Tokibox is a hidden hoard of beautiful boutique and independent vegan and cruelty-free wellness products, all hand-picked in NYC. What’s unique is that the team is committed to supporting small businesses run by women through sourcing their products specifically - and only adding the highest quality products ranging from superfoods, natural skincare, eco-friendly zero-waste items, and healthy snacks into their boxes. Boxes arrive monthly, with the options for 3 or 6-month plans. Shipping in the US is free, with a cost of $16 for Canada and $22 to ship worldwide. New subscribers will receive a free item in their first box. Your Vegan Box specifically for our Aussie friends! Similar to the popular Vegan Cuts, you can get a variety of awesome vegan snacks each month with the odd skincare and lifestyle product. Everything is hand-picked by Melbourne-based Hannah and her husband Trent. It’s great for discovering new favorites within the world of vegan choices. And there’s a way to skip the shipping costs, too! 5-8 vegan snacks, occasionally superfoods, skincare and lifestyle products, in a combination of full size, travel size, and sample sizes. Everything is cruelty-free and palm oil free. The Vegan Box also offers a Vegan Beauty Box, limited editions of either savory or sweet boxes, as well as gift boxes. With all of these great options, choosing the right vegan subscription box can become pretty tough! We're super happy to see how the marketplace for plant-based products keeps on growing and love supporting this wonderful development for a brighter future for all of us. Feel free to let us know in the comments below which of the boxes you find the most interesting and if you've got any of them! We're curious to find out. I am really excited about the idea of vegan snack boxes and appreciate this roundup. And as a Californian who just witnessed the ravages of climate change through multiple lethal wildfires and weeks of smoke, I am also really concerned about the carbon footprint of snack boxes that travel hundreds or even thousands of extra miles, racking up a whole bunch of additional food miles. (2) Estimated food miles from producer to snack box company (so you can calculate total food miles for your snack box)… though my guess is that most won’t know. (5) Any other info about how their company seeks to address climate change. Lars, maybe if I hear back from these companies, you could add some of this info to your infoboxes above — especially #1? I could forward you the responses if it is helpful. Wow Marti, thanks for your comment. I really appreciate the thoughts you put into this and totally agree with everything you said. In fact, a couple of weeks ago, during the time of researching and putting this article together, Alena and I got hooked by the zero waste lifestyle and we’ve been trying to buy as local as possible and produce as little waste as possible ever since. Needless to say, we felt a bit uncertain whether promoting these subscription boxes would still be a good idea. We decided to go ahead and still publish the piece because of the many emails we received from readers that caused us to come up with the article idea in the first place: So many newly-vegans wrote us about all the sweets and snacks they’d miss and the cravings they’d constantly get being on a plant-based diet. That said, I totally dig your suggestions for alternatives of getting your hands on these snacks! And yes, please report back what the different companies have to say about your 5 points…I’m super curious to hear that and happy to include it in the article. Feel free to comment again here or send us an email. I might be in the wrong comment section as I am concerned about infants . 0-6 mos live only on breastmilk. Breast milk however is not vegan as it comes from a living being. Breastmilk from a vegan mom is considered high risk and needs assurance with attention and supplements. If any mom cannot breastfeed or runs low is it OK to give your baby milk based formula ? Is the diet , needs and digestive system of a developing new born very different than adults? Should a baby be fed homemade vegan formula is brewers yeast, almond milk, molasses void of FDA inspection ? There have been many recalls on almonds alone. Is a babies digestive system designed for plants or formula made closest to breast milk ?Will a die hard vegan make an exception for their baby?